The Wednesday Call (TWC) for February 25, 2015: Andy Albright hosts a live conference call and meeting from National Agents Alliance Headquarters in Burlington, NC! Andy's live show covers all kinds of great topics, including training, information on team building, new developments that are in the works, and frank discussions with your fellow agents (beginner and top level managers alike!). If that wasn't enough, the live show also provides motivation and encouragement that will help get you fired up and ready to roll! Be sure to tune in and take advantage of the great info in The Wednesday Call. The main topic for today's show was the thought that you matter and you make a difference. Andy Albright was live in studio, and he wanted to make sure people -- every person -- know that they matter. The Alliance is on a campaign to find one more person that believes he/she will make a difference and know that they matter. When you take action, it truly makes a difference. The Alliance is a special place where people will know they matter. When people attend our HotSpots meetings, every person there is important and they make the meetings better. Part of that atmosphere is created by making sure people know the meeting is about them. Knowing that you can live a successful life and also a significant life too. It is about relationships, opportunity and gratitude. 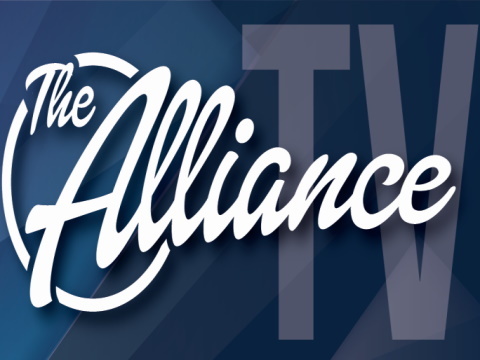 The Alliance believes in serving people via relationships, opportunity and gratitude. Our goal is to find people that are looking for a place where they have a purpose and a mission in life. The Live Show will air again on March 4, 2015 at 12:30 p.m. EDT. The Wednesday Call (TWC) for February 18, 2015: Andy Albright hosts a live conference call and meeting from National Agents Alliance Headquarters in Burlington, NC! Andy's live show covers all kinds of great topics, including training, information on team building, new developments that are in the works, and frank discussions with your fellow agents (beginner and top level managers alike!). If that wasn't enough, the live show also provides motivation and encouragement that will help get you fired up and ready to roll! Be sure to tune in and take advantage of the great info in The Wednesday Call. The Live Show will air again on February 25, 2015 at 12:30 p.m. EDT. The Wednesday Call (TWC) for January 28, 2015: Andy Albright hosts a live conference call and meeting from National Agents Alliance Headquarters in Burlington, NC! Andy's live show covers all kinds of great topics, including training, information on team building, new developments that are in the works, and frank discussions with your fellow agents (beginner and top level managers alike!). If that wasn't enough, the live show also provides motivation and encouragement that will help get you fired up and ready to roll! Be sure to tune in and take advantage of the great info in The Wednesday Call. Coming out of NatCon15, Andy was live and in studio for a new TWC. he mapped out how to be successful with The Alliance in the next 90 days. Andy recapped some of the highlights from NatCon and let people know almost 1,000 tickets have already been gobbled up for LeadCon in July. You can get your ticket today by visiting www.AllianceEventures.com. The main topic of the show was how to explode your income in the next 90 days. The goal should be to have Key Leader structure. After you are able to sell consistently, you have to learn how to talk to and deal with new recruits. We are looking for people who can, will and want to. Familiar people by saying, "you look familiar?" We get them going and sort them from best to worst so we know who to spend the most time working with on a regular basis. You have to work hard to ask the best questions to help you determine who are the right people to focus on. You have to keep looking and keep finding good people that are willing to do the right things. You are looking for people who say and do the right things. People are what they say and do. The Live Show will air again on February 4, 2015 at 12:30 p.m. EDT. The Wednesday Call (TWC) for August 27, 2014: Andy Albright hosts a live conference call and meeting from National Agents Alliance Headquarters in Burlington, NC! Andy's live show covers all kinds of great topics, including training, information on team building, new developments that are in the works, and frank discussions with your fellow agents (beginner and top level managers alike!). If that wasn't enough, the live show also provides motivation and encouragement that will help get you fired up and ready to roll! Be sure to tune in and take advantage of the great info in The Wednesday Call. Andy Albright delivered an action-packed TWC in front of a live audience. The show opened with Andy highlighting some of the top performers with The Alliance. The opportunity for people to succeed with National Agents Alliance is there for people who know what they want. What do you want? That's the question Andy asked viewers today. Today's main topic centered around making up your mind about what you want. When you know what you want then you can start working toward that goal. People that are ready, willing and able typically know what they want. People that are faithful, available and teachable are the kind of people The Alliance is looking for. What are you willing to give up in order to get what you want? Think about the price people are willing to pay to reach your goal. Contestants on American Idol pay a price and even the winner is just getting started in their career. What do they do next? That's what determines what they get or how successful they are. There are sacrifices that have to be made to make it big. There's a time to think and a time to do. You can't keep passing up chances because you think it is not perfect for you. When a chance presents itself, why do some people pass on the opportunity? Those who take the opportunity and run with it are successful because they decided what they wanted. Are you making the most of your opportunity with The Alliance? Are you eliminating the bad things that are holding you back? Are you trying to do more of the right behaviors to grow and be better. Andy encouraged people to decide what they are fighting for and chase their dreams. Making the decision to do it is the first step. If you are working, why not put yourself in the best position possible to be successful. It's about finding out if you have the want to it takes to be successful. What do you want to be? It's about thinking, taking action and doing. Andy asked viewers to review the last two TWCs, review his 8 Steps, and evaluate where you are. Andy sees the next big wave coming with The Alliance and is looking for the next person looking to catch that wave. The Live Show will air again on September 3, 2014 at 12:30 p.m. EDT.